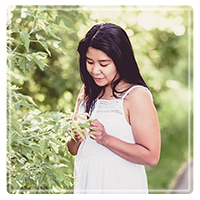 Winnipeg Therapist: Vanessa Limon - Therapist R3T 5V3. I aim to help teens and young adults overcome whatever it is they may be dealing with; self esteem, depression, anxiety, grief, healing from narcissistic abuse, codependent, unhealthy relationships and family issues etc. My goal is to shed light and help you understand who you are to the core. I provide a calm space to be your authentic self, to help you explore your vulnerabilities, to be heard and aid you with your steps to healing. Learning to embrace uncertainty isn't always easy and The Healing Project highly demonstrates empathy. The Healing Project takes pride on treating the person as an INDIVIDUAL and will not put the issues before the person. I implement a client focussed, mindfulness, positive therapy approach. I have designed my Counselling and Life Coaching program "The Healing Project" to be affordable. Journaling or creative exercises will be applied depending on persons preference. I provide 10 minute free consultation over the phone to ensure we have a connection. Healing is not always gentle but once we come to peace or understand our wounds it can be beautiful. I believe being in touch with our vulnerability is a strength and once we begin to nourish that aspect a new form of balance is born - Sometimes "Finding ourselves" really means "Returning to ourselves".